Struggling to find the perfect gift for the man in your life? Perhaps he has a refined taste which is proving rather difficult when it comes to knowing exactly what to buy him for Christmas? Well fear not! 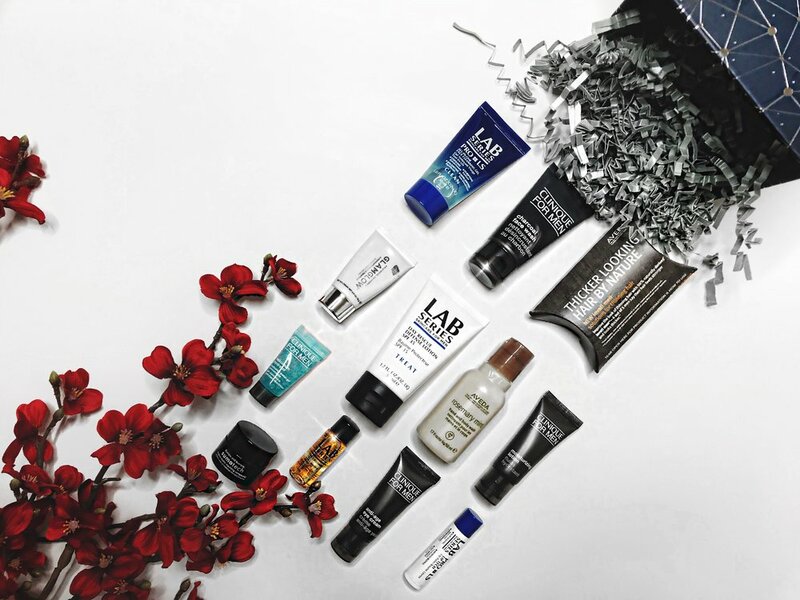 If he is into his Male Grooming and only enjoys the best of the best when it comes to skincare, grooming and haircare, then I have the perfect gift idea for you and at the end of this post, I will share with you a very special code just in time for Christmas! 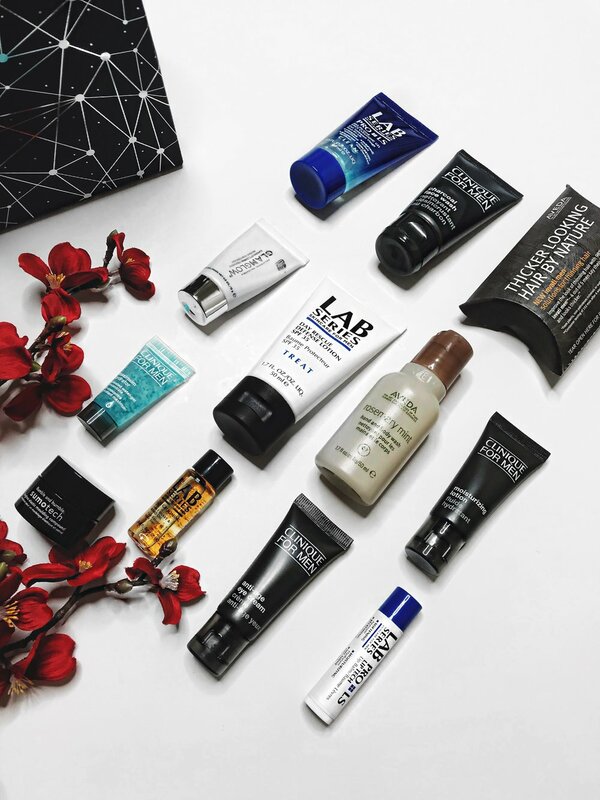 These little gifts within the Grooming Constellation box are all perfect travel sizes, or getting familiar with a product that you or your loved one may not have tried out before, but have wanted to test the waters so to speak. Or perhaps you’ve wanted always wanted to try a product from one of these brands mentioned, but just haven’t had the chance to! Have you tried any of these products before? If so, which ones? Are there any you’re keen to try out? Do you have any favourites? Will you be treating yourself or a loved one to this gift this Christmas? Do let me know your thoughts as I would love to hear from you, and don’t forget to click the ‘like’ button below! As I sit down to write this post it is currently 10 days away from Christmas Day... Sorry, what? I feel completely unprepared, a little flustered and very rushed! 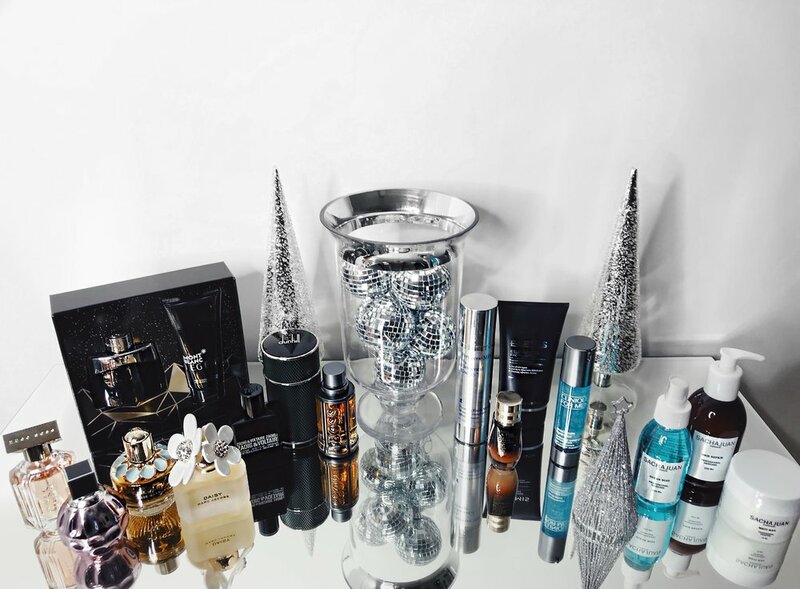 Despite how I may be feeling, I have compiled a Christmas Gift Guide featuring fragrance, skincare, haircare and 'For Her' ideas, which will hopefully make you feel more prepared and organised this Christmas. These are some amazing gifts which would make for a special present this year for a loved one of yours, or yourself, but don't worry, I won't say anything! To make more of a 'memory keepsake', why not try out Printsome? A website that allows you to create your very own personalised garment using their fast t-shirt printing! To get more information on that, click here. Have you tried any of these products before? Will you be considering any of these as a gift? Which is your favourite? Are there any products on here that you would like to know more about? If so, then do let me know. Don't forget to click that 'like' button down below, and to leave me your thoughts! Estée Lauder's latest range; Nutritious Micro-Algae, comes in the form of 4 brand new products, all of which have been crafted to get rid of any of the impurities on your skin caused by pollution and the stresses of everyday life! Chlorella - An emerald green, freshwater micro-algae rich in vitamins, minerals, and amino acids. Spirulina - A blue-green micro-algae loaded with protein and vitamins including phytonutrients. Laminaria Saccharina - A brown macro-algae rich in chlorophyll, beta-carotene, and polyphenols. All of the products contain the signature scent of Micro-Algae which is a garden-fresh interpretation of leafy green vitality! I applied the Purifying Cleansing Jelly in the morning as my first skincare product to allow the cleanser to clear any dirt that my skin may have picked up overnight, and I also applied the cleanser at nighttime. My skin felt much smoother and cleaner, and the few problematic pores I have around my nose, appeared reduced! I also liked how the product lathered into a light foam, and found the cleanser to have a nice subtle scent! You can purchase the Pore Purifying Cleansing Jelly here. I used the Pore Minimising Shake Tonic after using the Purifying Cleansing Jelly, and poured the Shake Tonic onto a clean cotton pad, which I then swept across my face. Out of the range, I found this to be my favourite due to how instant the results were. My face appeared dewy and had a radiant, fresh faced look, whilst looking healthier! Out of the range, the Shake Tonic is the only one I found that had a slight 'clinical' scent which was slightly off-putting, but regardless of the scent, the product certainly did it's job by minimising my pores. You can purchase the Pore Minimising Shake Tonic here. I applied the Pore Minimising Hydra Lotion both in the morning and night, but found it was more effective on my skin first thing in the morning. I liked how soft and smooth my skin felt afterwards, and I found out of the range that the Hydra Lotion was one that absorbed into my skin the easiest, and quickest! You can purchase the Pore Minimising Hydra Lotion here. The Pore Purifying Cleanser Bar has a 10 step process which takes place in Japan that takes over 60 days to complete. A refreshing and unique cleanser, in the sense that I haven't had tried one out in the form of a 'soap bar' before! I didn't notice much change with this product, however it did leave my skin with a clean and fresh scent! You can purchase the Pore Purifying Cleansing Bar here. Overall, I found the range to deliver results and is a range that has instant results! For more information on the range, click here. Also, be sure to check out my review on the world-renowned Synchronized Recovery Complex II! Have you tried any of the products from the Nutritious Micro-Algae range before? If so, which one? What are your thoughts? Will you be looking to try any of these out? Do you have a favourite when it comes to Estée Lauder? Do let me know your thoughts below, as I would love to hear from you and don't forget to click the 'like' button! I have always found Estée Lauder to be the 'Crème de la crème' when it comes to their skincare, so you can only imagine how elated I was to have received a bundle of their products! 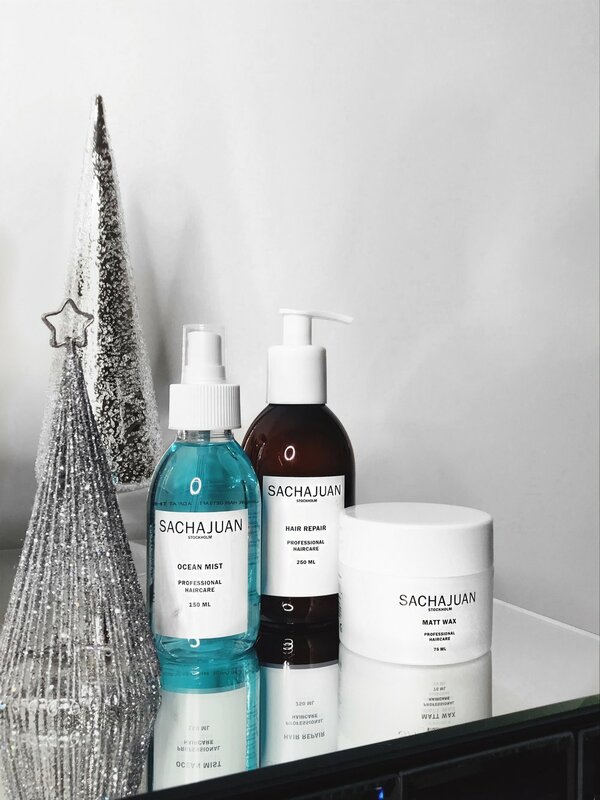 The bundle I had received were all part of the 'Advanced Night Repair' range, which features many products which help to combat any wrinkles that you may have, and helps to keep your skin looking hydrated and radiant. Perhaps some of you may think it's a little premature for me to be thinking about wrinkles and anti-ageing, but I have always said that prevention is better than curing! In this post I shall be reviewing the Synchronized Recovery Complex II, so be sure to check back in a few weeks for more reviews of the 'Advanced Night Repair' range! I applied this after I had cleansed my skin at nighttime, and what I like about this, is how easy it is to apply! There is a pipette in which the serum comes in, and I applied a drop of the serum onto each fingertip on one hand, rubbed my fingertips together and then massaged the serum onto my face. My skin has been rather dry lately, and I've been putting it down to the cold weather, and perhaps I haven't been moisturising enough as I should be.. But what I have found with this serum, is that is adds some moisture back into my skin, and helped to combat my dryness issues! My skin felt smoother afterwards, and appeared brighter and overall, a lot healthier! I also found that although the results weren't instant, if you stick to the routine and apply this nightly for a whole week, I noticed a difference after 8-9 nights of continuous usage. You can purchase the Synchronized Recovery Complex II here, and don't forget to come back soon for more product reviews from the 'Advanced Night Repair range'! Have you tried the Synchronized Recovery Complex II? If so, what do you think to it? 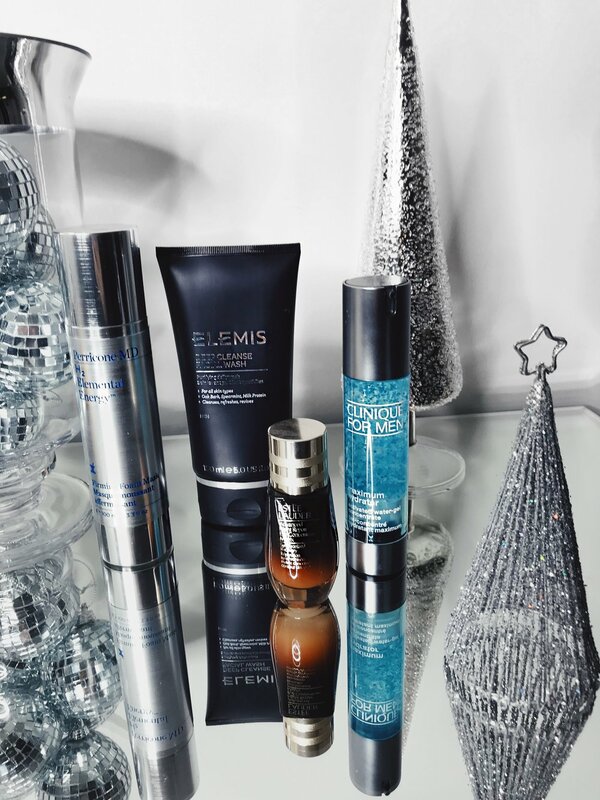 Have you tried any of the products within the Advanced Night Repair? Which is your favourite? Let me know your comments down below, and don't forget to click that like button!